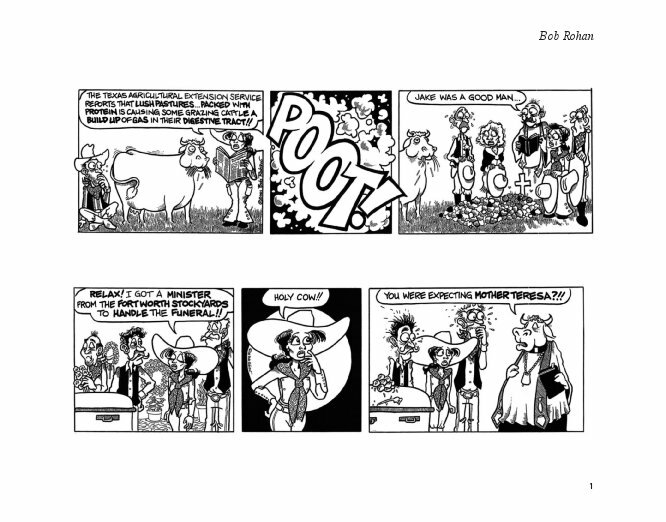 Bob Rohan is a cartoonist in Texas who draws a western comic strip for several papers across the country. 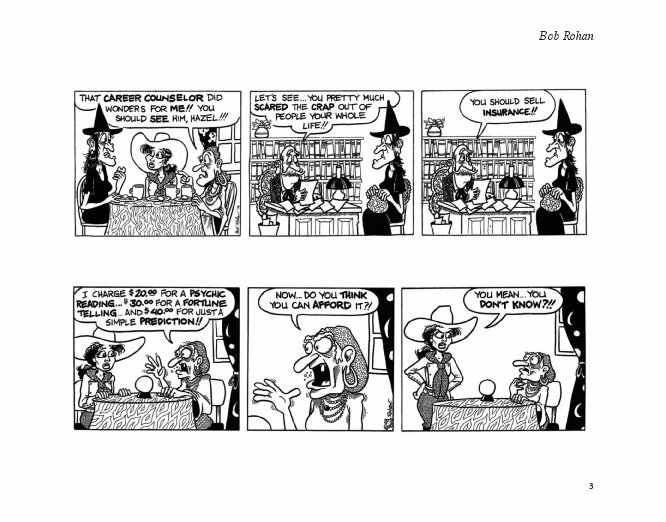 He has been drawing his comic feature "Buffalo Gals" for over 20 years. 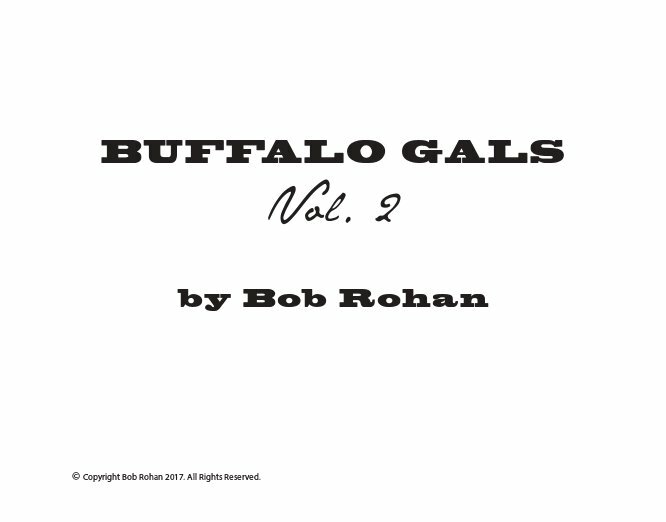 Buffalo Gals Volume 2 is a series of individual comic strips featuring two cowirls, Bess Winchester and Connie Cheyenne. They are joined by Rose and their ranch hands along with the citizens of Buffalo County. These cartoons are meant to give the reader a laugh in a stress filled world. 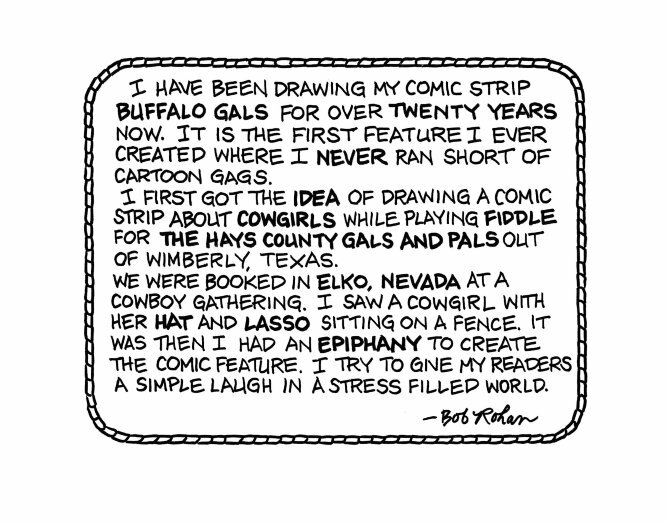 Buffalo Gals Volume 2 is a series of individual comic strips that take place in a small Texas community called "Buffalo County." The comic strips are meant to be just a laugh or chuckle with no editorializing. It is clean and wholesome entertainment. The characters are all works of fiction. 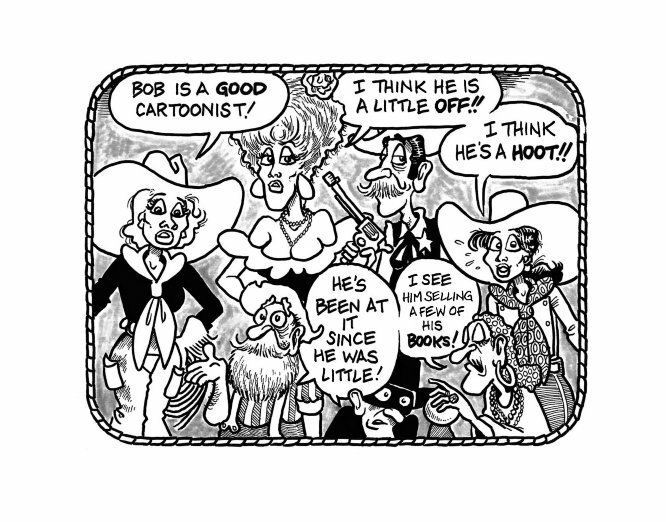 The comic feature is of a western theme and has a large cast of characters. The cartoons have been well received on Facebook and many publications across the country.